Taipei, Taiwan, April 15, 2008 – Amid the buzz of reaching a new milestone of 1 million Asus Eee PCs sold in just 5 months after its launch, ASUS has provided yet another round of excitement with its release of the new Asus Eee PC 900. This new generation of the ever popular PC packs in a whole range of hardware that includes a 8.9 inch widescreen, a 1.3M pixels webcam, the new innovative FingerGlide and 12GB / 20GB storage capacities for Windows XP and Linux platforms respectively – catering to wider consumer needs while still maintaining the “Easy to learn, work and play” concept by keeping the overall weight under 1kg. Mobility is one of the major factors attributed to the Asus Eee PC’s success; and this is in part due to the use of the built-in SSD – which offers a quiet, energy saving and shock proof design for stable computing on-the-go. Traditional hard disks spin at 5400 RPM – making them more prone to data loss or damage if shocks or bumps are received. Conversely, the Asus Eee PC is able to protect against such incidents, and is the perfect tool for outdoor computing – suitable as an ideal companion for reporters, wildlife photographers and other like-minded outdoor enthusiasts. said Jerry Shen, CEO of ASUS. Through extensive R&D, the inclusion of the 8.9″ display screen does not affect the overall weight of the Asus Eee PC 900, which remains below 1kg – making it easy for children and women to carry it around; and maintains the ultra portable theme that has become synonymous with the Asus Eee PC. With this large screen size of 8.9″, a resolution of 1024 x 600 is achieved – allowing users to view a single A4 page without the need to scroll left or right and making it much easier and more effective when reading or working on documents. The new Asus Eee PC will also incorporate an innovative FingerGlide feature that makes operating the Asus Eee PC easy and convenient. For example, with just two simple finger movements on the touchpad, users will be able to zoom in and out of pictures (great for looking at image details), or scroll up and down for easier document viewing – making the Asus Eee PC 900 more convenient to use. Furthermore, the Asus Eee PC 900 pairs a 1.3M Pixel webcam with its wireless Internet connection capabilities for web conferences anywhere, anytime for easier web communications and increased work efficiency. 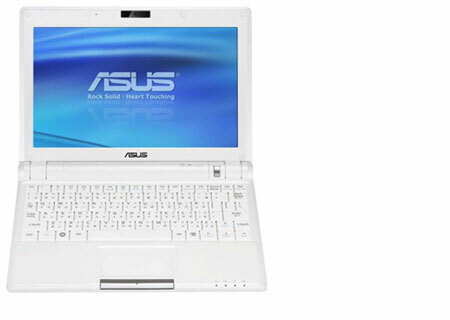 To suit differing user requirements, the Asus Eee PC 900 comes in both Microsoft Windows and Linux versions. The Microsoft Windows version allows more experienced users to seamlessly utilize the Asus Eee PC through the familiar Windows interface, and incorporates Windows Live features like Windows Live Messenger for instant messaging; and Windows Live Mail for consolidated email accounts on the user´s desktop. Complementing this is Microsoft Works, which equips the user with numerous office applications to work efficiently. The Linux version is useful for users who desire an icon-driven and easy point-and-click interface. Well suited for children or users without any computer experience, it provides a fast boot-up time– ideal for fast Internet access while waiting for public transport, or taking notes on-the-go. Any chance we could see a tablet hybrid EEE? I would love to take notes in class with this thing. Lots of the Eee’s aren’t available in retail locations – but you can get them online. I agree with Jorge that it would great to have a tablet version – they are so small that this would be simply perfect!! I just want eee pc 900. How much is it? Plz send it prize to my mail..